Celebrating over 35 years in the care industry, Holmes Care Group is an award-winning family run care group, founded in 1982. Our 14 services across the UK provide care and support to over 800 people. The Group started with one home and today employs over 1200 people in 14 homes around the UK. From our Head Office in Upminster, Essex we strive to ensure and oversee the best standards of care across our range of services in the United Kingdom. Our purpose is to enrich the lives of our residents and their families, our employees and our local communities and in turn provide outstanding care and support. As an organisation we are thoughtful about our residents, their relatives and our employees. We act responsibly to ensure that we deliver high quality person-centred care. Each of our 14 services leads with their own character because we appreciate that everyone is unique and requires individualised attention. We always strive for excellence in everything we do and our employees work together as a team to provide a fantastic service. Every one of our homes offers a wide range of care facilities provided by a team of dedicated, well-trained and qualified staff, profoundly concerned with every single service users' welfare and happiness. We are recognised in the industry for providing high standards of care and we are proud to have been awarded for our achievements and success; the awards we win are extremely important to us, as we believe they are a testament to the services we provide and to every employee who helps deliver the highest standards of care. Baytree Court is a very relaxed home, pleasant staff and one of the nicest homes I visit, always get a smile. Service users seem happy. To all the staff at Almond View - a big thank you for looking after Mum, with such kindness and dedication. Despite living 400 miles away, I always had a good feeling that she was in good hands. When I did visit, the staff without exception, stopped to chat to us even though they were extremely busy. Please accept my heart felt thank you to you all - a real credit to Almond View. Thank you for the excellent level of care that my father, Frank Boyle, has received. Bankview demonstrated for us the template for a care home and how it should feel and be run. Friendly, welcoming, excellent care levels, length of time staff remain loyal to the home and above all a clear and comforting atmosphere of great leadership. Bankview Day care is welcoming and homely, meeting a wide range of needs with well trained staff and individual care for each client. The day care centre has made a huge difference to my life. Best thing I ever done, my week was boring now I have days out and shopping trips and good company. We can not thank you enough for all the care, support and attention the staff at Baytree Court have given Marc. The staff have always given their time and support to us on visits which has meant a great deal. Both mum and I were most impressed with Beechwood and we have decided that is where we would like Dad to come to. You have put both mine and mum's minds at rest knowing that Dad will be looked after. I can't exaggerate the admiration I have for the management and staff of Craigielea. I've never experienced so much patience, coaxing, kindness and care. These people share their lives and emotions, laugh and cry and mourn for the people who entrust themselves to care. The staff talked about my best friend being an inspiration to them, despite his illness It made me change my approach with him, instead of being despondent and sad, I spoke with him the way we had always been with each other. The staff saw him as a person. 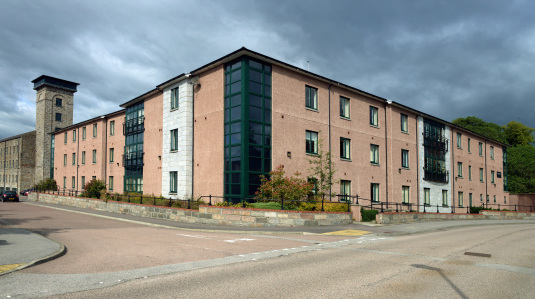 My uncle, who is a retired GP, recently visited Dad on a trip over from Canada and commented that Craigielea is one of the best places he has ever seen in his experience of elderly care units. Very homely, calm, relaxing and wonderful staff. Keep up the fantastic work you do! I am writing to put on record how grateful, I and my family, are for the excellent care George received while in your care. He could not have had more or better care. Please pass on to your staff our appreciation of their kindness, help and caring attention we all received. From the greeting at my first visit, I felt the genuine care and pride in their work shown by your staff. I cannot praise too highly, all of your caring staff for their dedication. I thank you so much. 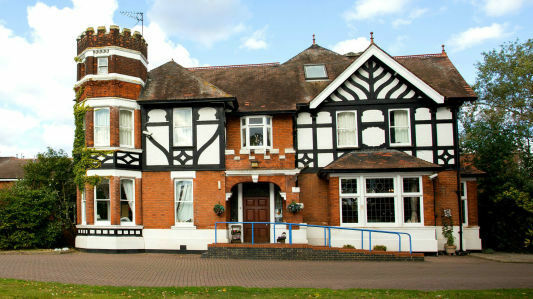 My mother was placed in this home by Queen's Hospital, Romford, on Gold Standard End of Life care. Consequently, she was only there for a short period of six weeks. During that period she was kept safe, warm and clean and was treated kindly with respect. The patience of the nursing/support staff was outstanding. Everyone from Matron, Admin, Cleaning and Laundry staff was caring, considerate and obliging. True professionalism and quality of care. A lovely home with working professional angels. Cannot recommend this enough. My mother was really looked after and her needs were met. They cared, supported, listened and had empathy. The home has beautiful grounds, rooms lovely warm and cosy and always a welcoming helpful face around.Will always be grateful for everything they all did. Please accept my sincere congratulations for performance and efficiency of Grandholm Care Home. The home provides a very professional, caring and motivational environment with an abundance of patience and understanding. The home is a credit to your team and one of the best in Aberdeen.